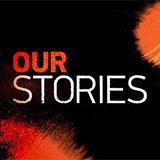 1491: The Untold Story Of The Americas is a TV show on Australian national television from NITV with an average rating of 3.9 stars by TVCatchUpAustralia.com's visitors. We have 8 episodes of 1491: The Untold Story Of The Americas in our archive. The first episode of 1491: The Untold Story Of The Americas was broadcast in March, 2019. Did you miss an episode of 1491: The Untold Story Of The Americas but don't you wan't that to happen in the future? Please set an alarm and add 1491: The Untold Story Of The Americas to your favourites, so we can remind you by email when there's a new episode available to watch. Completely free: handy! Presented from an Indigenous perspective this series takes its audience on an unforgettable journey along a timeline that dates as far back as 40,000 years ago through to 1491. Presented from an indigenous perspective this series will take its audience on an unforgettable journey along a timeline that dates as far back as 40,000 years ago through to 1491.